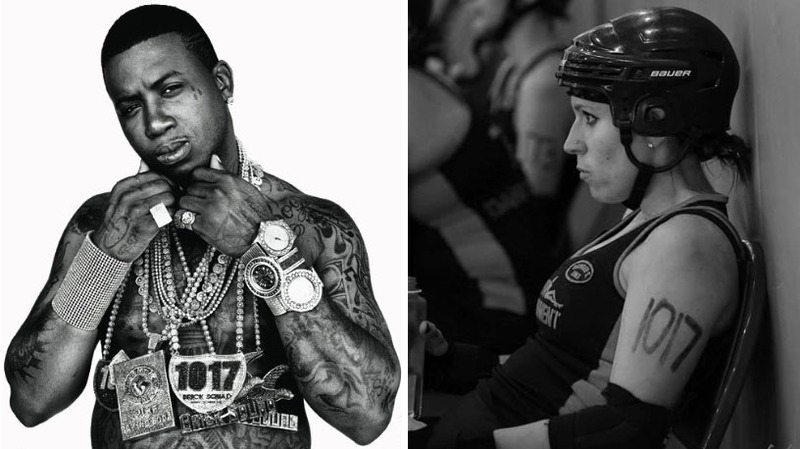 So, I play roller derby. It was one of the most spontaneous and best decisions I have ever made. When I moved to Tallahassee in 2012, I didn’t have any friend or family members. I thought to myself, ‘how do I typically establish and build new relationships?’ In the past it was through school and sports so, since I was no longer a student, sports was the only hope. The problem was I did not know about finding a sports team to join as a free agent and roller derby was never even an option since I hadn’t really heard of it before. I looked my staples: softball, football, and basketball and could not find any free agent style co-ed leagues. Disappointed, I was exploring new local stores and happened to find a flyer advertising an upcoming roller derby bout. This intrigued me. I took a quick photo of it which referenced the website and went home to do my research. There was a tab, buried among ‘meet the skaters’ (can you say intimidating) and ‘upcoming bouts’ which just said ‘Join TRG’. I clicked, decided on a date to first start, then got nervous and didn’t go. A couple weeks passed and I had a meeting at work regarding Sexual Violence Prevention with Annelise (who later becomes my best friend here in Tally, my twin). We got to talking and roller derby came up – she actually played for TRG and encouraged me to go to boot camp so I did. 1.5 seasons later and here I am. I’ve transitioned into a leadership role, being elected the Strength & Conditioning Coach for both seasons. I’ve gotten the chance to travel all over the south east and even to Puerto Rico to play this sport. I’ve built relationships that are special to me, gotten stronger, felt more empowered, and overall encouraged to become a better player and human. We are a group of strong, athletic, motivated, intelligent, and competitive women. A family. I should also mention, in the world of Derby you have Derby names. Some are given to you by others, some you give to yourself. Mine comes from my love of rap music. As a self proclaimed ignorant rap aficionado, I adore me some Radric Davis aka Gucci Mane. The number also comes from him as 1017 Bricksquad is his record label. The resemblance is uncanny, I know.